Dear Yankee Fans: Yes, we hate you. Yes, we hate your team. So, you won again. Goody for you. You do understand that some of us really hate your team, right? We can even admire the franchise, its history and tradition, and all of what it means to our American cultural heritage. But we still hate the Yankees. And, yes, we hate Yankee fans. And, no, we’re not just “jealous.” We genuinely hate you. I’ve only been to NYC once as an adult. But on that trip I did go to Yankee Stadium, out of respect for the history and tradition. Saw the Yankees play the Red Sox there (the last series at the old Yankee stadium…). Sat on the 20th row, right behind home plate. And, with great pride, I wore the Red Sox cap that I’d bought at Fenway Park the week before. Now, please understand, I’m not that big Red Sox fan. They count as only my second-favorite American League team. In fact, my favorite National League team is the Reds, which means I spent a good bit of childhood rooting *against* the Red Sox. 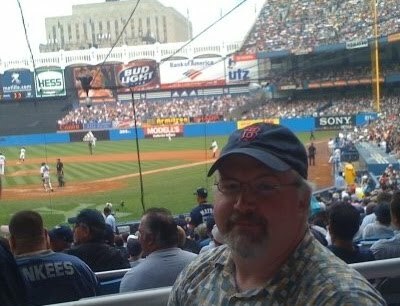 But I know that the Yankees hate the Red Sox, and so on that July afternoon it gave me GREAT pleasure to be a Red Sox fan. No, Yankee fans, we’re not just jealous. Oh sure, we definitely are jealous. I mean, you’ve won 27-freakin’ championships. That’s something approaching one out of every four. We’re totally jealous. But that’s not why we hate you. We hate you because last night, and today, both you and the national media are acting like there’s been some long and unbearable “Yankee-drought” that last night rectified. I heard players and pundits alike saying this. As a Ranger fan, I think I can safely argue that “never” is slightly longer than nine years. “Never” is definitely longer than one out of every four championships. THAT, Yankee fans, is why we hate you.